We are thrilled to invite you to lunch at Falmouths’ only AA 3 rosette restaurant on 18 October. Enjoy a menu with local ingredients garnered from daily foraging expeditions along the coast, the West Country’s finest graziers and master butchers, market gardeners, to local day catch boats. 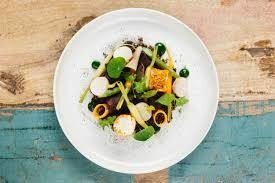 Chef Patron Hylton Espey and the team in the kitchen work at The Merchants Manor with one simple mantra: what grows together, goes together and use it to create outstanding and intriguing dishes. Alongside the exceptional dining experience, enjoy the company of others equally passionate about supporting the communities that make Cornwall such a special place. To see the fabulous menu, click here. This lunch has been made possible by the generosity of Sioned and Nick Parry-Rudlin of the Merchants Manor with 100% of ticket price donated to CCF.